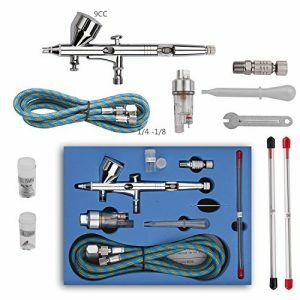 while providing exceptional atomization and accurate spray control. Excellent system for all levels of users. Ideal for cosmetic, crafts and hobbies. 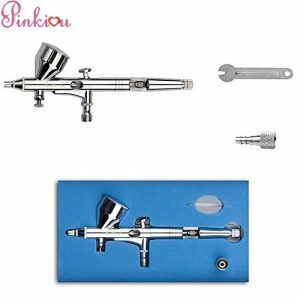 Airbrush SP136-0.4mm beauty special airbrush SIZE :14*4.5cm Cup Capacity: 2cc WEIGHT :62.6g MATERIAL :Copper Standard Nozzle Dia. 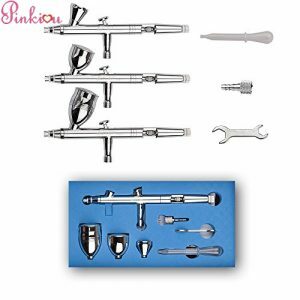 : 0.4mm (0.4mm-0.7mm:for coarse particles paint(water fill soil, metallic paint),for beginners ) Singleion trigger air control. 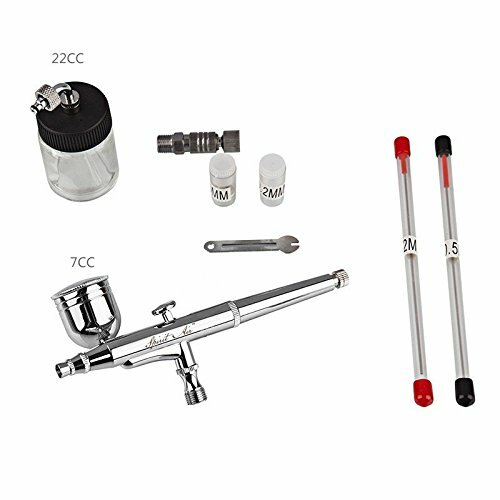 Easy fluid refills and easy cleaning. Quite and durable mini compressor. Portable light weight and easy to carry around. Maintenance free, Oil-less and Quiet.